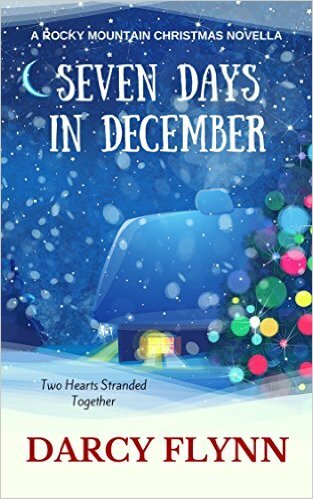 It’s finally here – don’t miss Darcy Flynn’s Seven Days in December! Double booked and trapped together during a blizzard, frustration sets them both on edge. Traynor is immediately attracted to the gorgeous Nikki. But her affinity for lists and the habitual twisting of her wedding band proves beyond annoying, until he realizes something deeper is going on. As for Nikki, the handsome man sleeping on the sofa just messed up her plans, yet he may hold the key to her finding Christmas again. A sweet, must read novella for the holidays. Grab your copy today for just 99¢.